Home CAIR Will President Trump Prosecute Terrorist Group CAIR & Those Supporting It? Because UTT speaks truth about the global Islamic movement, including Al Qaeda, the Islamic State, and the Muslim Brotherhood, it is no surprise to us suit-wearing jihadi groups (legally “terrorists”) like CAIR attack us on several fronts. CAIR works with their Marxist accomplices in the media in an attempt to smear UTT as an organization and individually. The Marxist anti-law enforcement Southern Poverty Law Center (SPLC) attempts to brand UTT as an “extremist” group, while at the same time promoting and defending this representative of a designated terrorist group Hamas – CAIR. CAIR relies strongly on cowardice and ignorance among local, state and national leaders – who would rather be silent and “liked” by Marxists and jihadis than do the right thing no matter what the cost. These “leaders” become willing accomplices when their silence allows the terrorists to advance their agenda. Hamas is a terrorist organization and, therefore, a threat to the United States and needs to be destroyed. There has never been a lack of evidence to indict CAIR as a Hamas organization, there has only been a lack of will. Will President Trump show a strong will and dismantle CAIR and the jihadi/terrorist network in America? Whenever UTT travels the country to speak truth boldly about this threat, CAIR contacts the venue hosting us, and requests that the venue be closed off to us. Think about this – Hamas asks venues to deny our first amendment rights, and some of those managing venues, including law enforcement and Christian colleges, have acquiesced. UTT has an aggressive strategy to dismantle the jihadi network here in the US, and as part of that strategy we are asking our readers and supporters to continue to help us spread the truth about CAIR to media, law enforcement, legislators, pastors, priests, and rabbis, and to citizens in general. Today’s blog post is a call to action – you can help UTT and the broader war effort today. 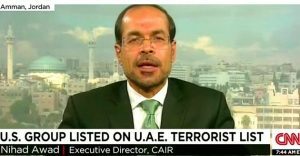 We ask you to share UTT’s short write-up entitled, “CAIR is Hamas” with everyone you know via every outlet you can – facebook, twitter, phone calls, emails, etc. Every time CAIR comes to your town to have a conference or speak, contact the venue and ask them why they are allowing representatives from a terrorist organization – Hamas – to use their venue. If you have a CAIR office in your state/town, contact your local FBI office and state police and ask them why they are not prosecuting them and shutting them down. 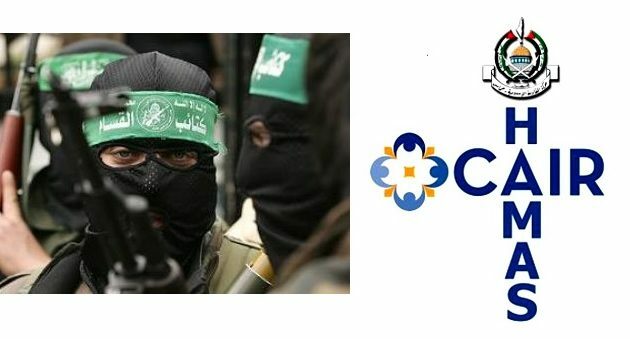 When a local organization – like the San Diego school board – openly works with Hamas (dba CAIR) citizens should rise up and ensure those supporting these terrorists are removed from their positions. We also ask you to join us in our 25 forFreedom Campaign to help us put freedom on the offensive where it belongs. Please commit to a $25 per monthly donation so we can continue to take the fight to the enemy and put freedom back on the offensive where it belongs. Click here NOW to join the 25 for Freedom Campaign.